Hoo Doo is an ever evolving tradition of earth magic with roots deep into our ancestral past. Motor City Hoo Doo is an adaptation of herbal magic for Urban Folk. Your Hoo Doo spell / ritual bag is hand made from vintage fabric, filled with the perfect blend of empowered herbs and magickal stone dedicated to one specific purpose. We include complete instructions on waking up and using your Motor City Hoo Doo Bag. Remove the negative influences of others and your own self-defeating thoughts. Basically, get out of your own way to allow all the good things to happen! 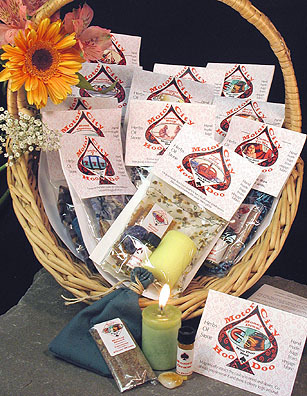 Hoo Doo Bags are hand-made and laced with all kinds of Special Magick. 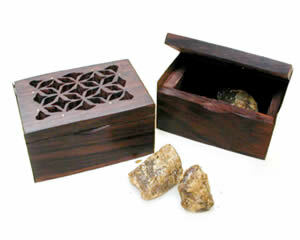 The Spells are performed with common ordinary things found in the house, plus the special bag of extraordinary rare herbal blends and stone for your specific purpose and high success with your intentions. Bags are 3" X 4"; Packaging 3.25" X 6.25". On The Road - Safe Travel Safe Travel and a peaceful Journey is at hand. Boss Fix Hoo Doo Bag - A little protection for your working environment. Come To Me - Magnetize your charm to draw your love interest into your arms. Crown of Glory - Help ensure Success and Victory in all your endeavors. Become crowned in your own glory. Granny Ti's Dream Potion - Dream away your problems, dream up some solutions. 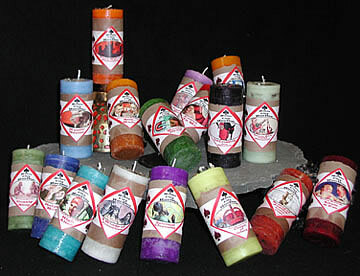 Fiery Wall of Protection - Protection from the evil, harmful thoughts and actions of others. Gossip Stop - Ferme la bouche! Shut your mouth! Stop gossip in its tracks and reverse the damage that it has done. Helping Hand - Solve a problem, get through an issue, overcome adversity with a little helping hand. Lucky 7 - Draw on the lucky power of 7 to increase your luck and bring good fortune. Lullaby - Peaceful Sleep Peaceful sleep, gentle dreams and a refreshed morning is yours for the taking. Road Opener - Lay out the path before you. Clear it of obstacles and open the road to a smooth journey. Self Made - Business Success Draw customers, timely payments and the strokes of genius that help you grow your business. Uncrossing - Jinx Removing Remove the negative influences of others and your own self defeating thoughts. 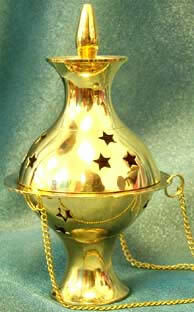 Money Draw - Magnetically attract the cash you need and desire. Nanny Ma's Child Protector - Before you send your little angels off into the big ol' world, make sure Nanny Ma is watching over you.